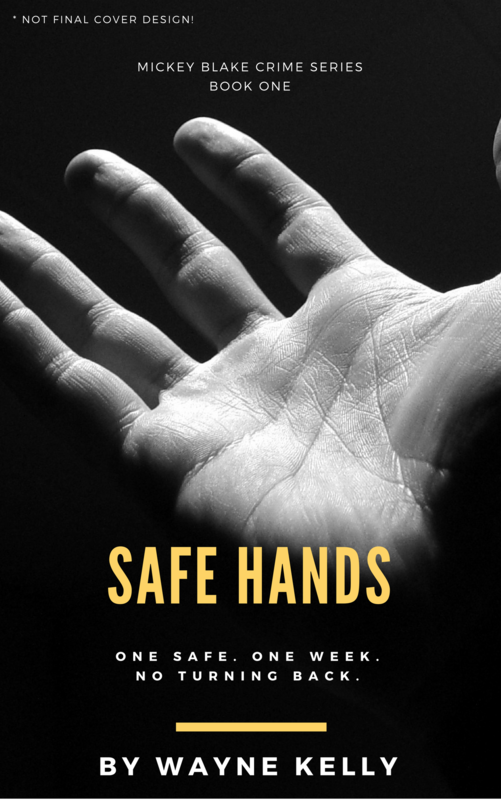 SAFE HANDS is a crime novel told in the first person by Mickey Blake – an aging, bitterly sarcastic safe-cracker who can open any vault with only a heightened sense of touch. For the sake of his dying wife, Mickey is forced to return from South America to a rundown UK seaside town for one last job. He has 5 days to help a crooked undercover cop rob a Russian mafia safe house. ‘Always ask yourself – does the job need me, or do I need the job?’ – Mickey Blake, SAFE HANDS. SAFE HANDS is currently out on submission whilst I turn my attention to its follow up, tentatively titled ‘BOX 337’. Here’s a short excerpt from the beginning of SAFE HANDS . . . .
An Opening . . .
For me, cracking a safe doesn’t mean dynamite. No oxyacetylene torch. And definitely . . .
It’s laying your hands on cold steel, feeling the tingle in your fingertips, caressing out each part of the combination. This isn’t a safe, either. It’s a vault with a door more than two feet thick. A three-wheel combination lock with four-way moving bolt work, an anti-blow-pipe and no electronics. Nothing to hack, drill or explode. Immune to everything except my touch. Take a breath, fingers of my left hand rest on the metal, right hand on the first spindle. I give it a twist. Left, then right, feeling something, like a tiny electrical charge or the tip of a feather. Slowly now, eyes closed, imagining the mechanism, seeing the gate inside slipping round, wanting to slide it home. Further. Almost. Click. Quicker now, switch hands, keeping skin on steel. Use my middle finger to swing the spindle in a slow arc, tease it round. Sense every groove, every turn. Pushing her closer. Nearly there. She’s open and ready to give me her secrets. Unlock more Mickey and Writing-related content . . .
I’ll be releasing more book-related content to my subscribers, as well as sharing more writing tips and creative inspiration so join the mailing list and you’ll also get to download two free short stories. If you want to find out more about Mickey’s safe-cracking gift, take a look at a real-life safe cracker, Jeff Sitar in this YouTube video. In the meantime, stay tuned for more writing updates and don’t forget to check out The Joined Up Writing Podcast, where I interview loads of successful authors and key members from the publishing industry.